It’s a five-hour difference between my hometown and Ireland. It doesn’t seem like that much. Then five hours becomes a big deal. Enter jet lag: the extreme tiredness that happens after a long flight across several time zones. Jet lag can be awful if you aren’t prepared for it. It can still be awful if you are prepared for it, but it’s definitely manageable and totally worth it (even if you are from Cali or Vancouver, ugh, 8 hours–I’m sorry). I am full of energy. I want to see EVERYTHING. It doesn’t matter how many times I’ve been to Ireland, I am like a kid 10 minutes after the candy store. Let’ssss goooooo!! But then the adrenaline fades, and while I am of course still super excited to be in Ireland, my body simply screams nap time please. I don’t think this initial rush and then a slow fade is particularly unusual. It’s just jet lag catching up with our bodies. But it’s at this very point when you must decide your jet-lag-beating course of action. Otherwise the next several days may be rougher than you intended. 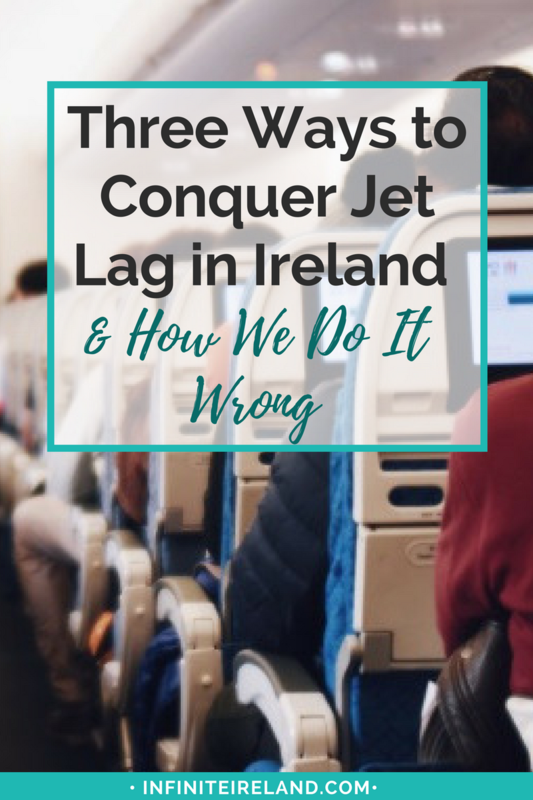 I find there are three primary approaches to conquering dreaded jet lag, and I’ve learned that quite a few people are very passionate about the “right way” to do it. Well, I’m more of a “do what works best for you” kind of gal. So to me, it makes sense to just lay all the options out and let you decide what’s best for you. Right? The Rules: Regardless of how much you do or do not sleep on the plane, you must stay awake until it’s a reasonable hour to go to bed at the local time (like 9 PM or later). This is the one all the travel experts say is the best way to quickly get over jet lag. And I would definitely agree it’s a great option if you can hack it. It’s not for me though. I can do it, but it isn’t pretty. Joe doesn’t thrive in this scenario either. We both end up shutting down by about 3 PM and the rest of the day is not much fun. e.g. Cue whining from me and almost complete silence from Joe (not sure if it’s because he’s so tired he can’t form the words or if he thinks ignoring me will shut me up. I am sure it’s not the latter… ). So this way, although effective, doesn’t really seem to work for us. I want all of our days to be enjoyable including the first one. The Rules: Prior to leaving for Ireland, set your alarm clock for an hour earlier everyday until you reach the number of hours of time difference from your home time zone to Irish Standard Time. So for me, being a five-hour time difference from Pennsylvania to Ireland. Five days before my trip I would set my alarm for 1 hour earlier. The next day, I would set it two hours earlier. The following day, three hours earlier. You get the idea. Until I am getting up five hours earlier. As much of a planner that I am, I have yet to master this method. I tend to be doing “all the things” before leaving on a big trip so getting up earlier (and subsequently going to bed earlier) just never seems to happen. If I got myself together, I think this could be a great one-two punch with the other options though. You could train your body to adjust to even just two hours earlier to make the transition a little less jarring. 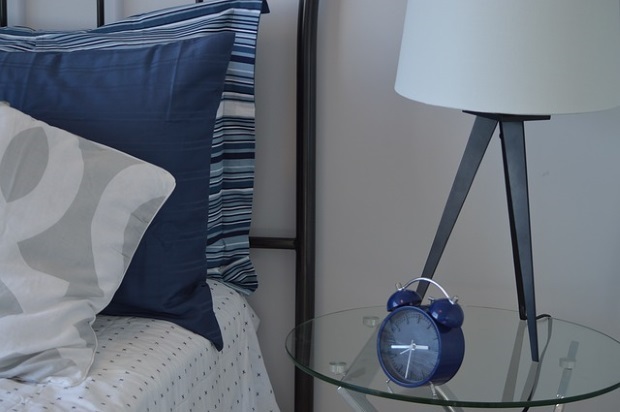 The Rules: Purchase accommodations for the night before your arrival day in Ireland. Check-in at your hotel/B&B upon landing (which is typically in the morning from the US). Have a full Irish breakfast if you are hungry. Rest for no more than two hours. Shower and enjoy the remainder of the day from early afternoon on. Go to bed at a normal hour. This is our tried-and-true, works-for-us method. I know some of you are going to say nooooo. Don’t sleep! But here’s the great thing with this method: You sleep at a reasonable hour in the morning and not for any great length of the time. And you still have most of the day to enjoy Ireland. Unless you slept like a log on the plane, you’ll still be tired enough to go to sleep at night AND you won’t be a grouch to your spouse (sorry for those first few trips, Joe). Plus, since you’ve booked a room for the night before and arranged a morning check-in, you’ve got your home base all set up. Once you do go out exploring there is no need to be back at a certain time to check-in and you can go to and fro as you please. The biggest downside to purchasing your accommodations for the night before is having to pay for an extra night of accommodations. But I find that this method is just as effective as The Energizer Bunny or the Planner. Regardless of which method you choose, there are several tips that anyone can use to ease the effects of jet lag. When you get on the airplane, change your watch to Ireland time (or put a note on your phone to remind yourself to add X # of hours to the current time). Knowing what time it is in Ireland will help you do tip #2. Sleep and eat when the Irish do. When the food cart rolls around at 10 PM local time to serve you dinner–look at your watch and ask yourself what are the Irish doing now (answer: sleeping!). Eat a nice dinner before you hop on the plane and do your best to get shut-eye right away. Have the right tools. Get a good eye mask, ear plugs and even a travel pillow to help you catch some zzz’s early. The ones we use are listed on my resources page, but grab whatever you think will work best for you. Avoid the temptation to watch a movie, scroll on your phone, drink alcohol or caffeine. It’s a quiet read during take off and water for you. Get some sun during the day. Ok easier said than done in Ireland, but when you arrive head outside to trick your body into registering day vs. night. If you do lay down to rest, set an alarm. 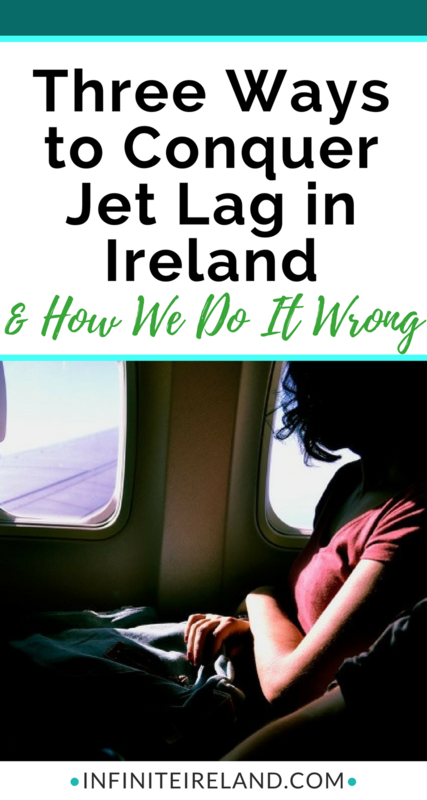 You don’t want to find that you slept the day away and are wide awake at 11 PM–essentially perpetuating the cycle of jet lag and missing a whole day in Ireland. What am I missing? Any other great tips for conquering jet lag in Ireland? Let me know in the comments! 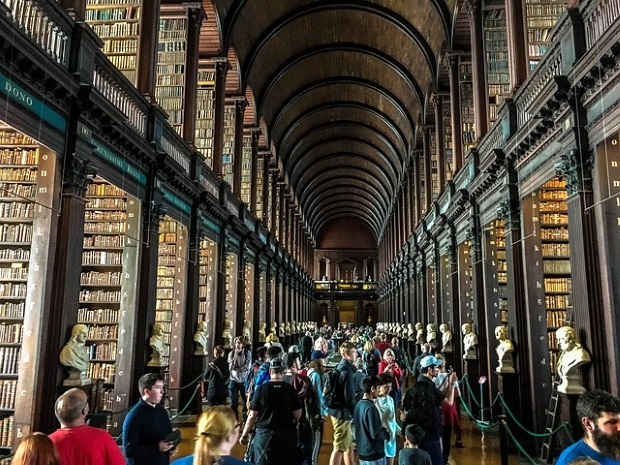 Speaking of tips–if you haven’t signed up for my free printable Ultimate Ireland Packing List, you’re missing the best packing list for Ireland and a series of my tried-and-true tips you need for planning your trip. Enter you email below, and I will send them right over to you! Yay for planning your trip!! I’ve usually been able to beat the lag by setting my watch to the time where I’m going (and always refer to that time as “the time”) Also staying up until local bed time has worked with maybe a brief nap. This coming time I’ll be riding a motorcycle and cannot afford to get sleepy whilst riding! Maybe a nap on the bus between Dublin/Swords and Limerick where I pick up my bike. I’ve found (through experience) that I can remain a competent driver for 3 – 5 hours after arrival — in a car, but I’m CERTAIN I wouldn’t want to tackle a unfamiliar motorcycle under those conditions. I wouldn’t suggest traveling too far on that first day, to be honest. You, sir, are my new hero! In all fairness, though — my 1967 A65 BSA would need to be updated before I would climb on a ‘new-fangled’ bike in Ireland . . . I don’t think the left-hand shift / right-hand brake would readily translate to my muscle memory — but, I will concede that electric start (and modern reliability) would be a pleasant experience! Whom are you renting from? You two are both my heroes—I think I’ve been on a bike twice in my life and I never even considered one in Ireland! I don’t think Alexander and Joe will fit. ;-) Enjoy your ride Russell!! We are big fans of the ‘two hour nap’, but I have never booked a room for the previous night. We face the same, 5 hour time disparity, but living in Florida, our typical travel time is roughly 12 – 15 hours (plus, getting TO our originating airport (usually 2 hour’s drive away). Typically, check in time (most locations) is 1400 (2 PM) and early check in is around noon. Hotels often have greater flexibility (vacant rooms) than smaller Guesthouses or B&Bs. We normally plan our Arrival Day so that we ‘Muscle Through’ until 1 or 2, check in to our accommodation — and then, take the requisite, 2 Hour nap. After showers and the nap, it around 4:30 or 5 PM and we are usually ‘Good To Go’ until 10:30 or 11 PM. Again, this doesn’t work for everyone, but it’s been our successful formula for the past 20+ trips, since our first, in 1999. Sounds about right Bob. Having that two hour nap really makes a huge difference in our ability to function well. I don’t think there is much advantage to pushing through in the long run. Great advise and options! I find the nap thing works for me and hubby. Whether we travel to the west coast or Ireland, the time difference makes us “punchy” and “crabby” until we rest and, as you said, nap for a few, get up and explore, then go to bed at the normal bedtime for that time zone. Well I am glad it’s not just me that gets a little “punchy.” :-) Sleep, such a simple but important thing for a marriage. Hah! A friend told me they know someone who is a pilot, and the 1st thing he does is nap, but no later then noon. its an 8 hour difference, and long travel time, and I get in at 7:00 am. So, like you, I will be booking a room for that time, and setting my alarm, and vegging for the 1st day. Sounds perfect to me Suzanne! The 2-3 hour nap works for us to help the situation but we’ve also learned to just be patient for up to a week for our bodies to adjust. If you can take a flight that arrives late morning to an Airbnb rental you may be able to check in early. I’ve also tried taking No Jet-Lag but it didn’t seem to work. I felt sick I was so jet lagged! I didn’t want to repeat that when I went to France, so got a homeopathic treatment for jet lag from the local Community Pharmacy and I had no problems. Yae! Spot on, Jean. 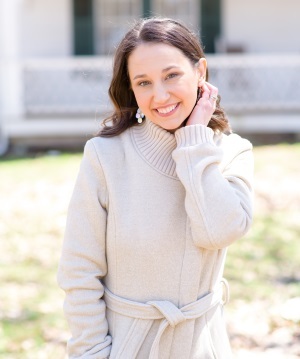 I have heard that it takes your body as many days to adjust as it is the time difference (so if it’s an 8 hour difference–wait 8 days and you’ll be completely adjusted). Not sure how true that is, but think it’s a general good rule of thumb. I had horrible jet lag when I went to Ireland. It was me sleepy, cranky, dizzy, and wanting to me sick. With that said I have only had a 2 to 3 hour flight so my 8 hour flight from California was hard. When we got there I took some dramamine which made me sleepy but we pushed on and visited one place in Dublin then went our hotel and ended up knocking out for almost 3 to 4 hours but in all honesty I felt 90% better after. We were able to still sleep that night and woke up great. I think taking a short nap maybe not 3 hours but even an hour is extremely useful. I think when you are so sleep deprived, it’s not hard to take a nap and have a good night’s sleep that night. Glad you were able to rest!! I’ve been working on a new method that is an offshoot of option one, and so far after several trips to Europe, it’s worked for me. I power through the day, but have a light, very early dinner on my first day in Ireland (or other European country) and then go to bed–maybe 7-7:30 p.m., which is about 4-4.5 hours earlier than I normally go to sleep. Even if I sleep 14 hours, I’m up by 9-9:30 the following day. Combine this tactic with a good hydration strategy onboard your flight into Ireland, including avoiding the inflight alcohol. I drink one bottle of water on the plane with a hydrating tablet dropped in (most hiking stores, like REI, carry several brands) and then another on arrival. The combination has worked like a champ for me. I’ve done option three and another possibility is to take a day room at one of the hotels near the Dublin Airport. I did this at a Hilton a couple of years ago. Had breakfast until my room was ready at 9:00 a.m., napped for 90 minutes, took a shower, and then was active until 9 or 10 in the evening. Cost at that time was about 69 euro. My more recent approach seems to agree with me better, but this isn’t a bad way to make the adjustment. Good hydration is so key. I can’t tell you how much of a difference that made this last trip. I really made sure I kept drinking throughout the flight if I was awake and I think it helped. I love the idea of a day room at the airport too. Another great option! My wife and I have always adapted the energizer bunny method. Hit the ground running until “bed time” in the evening. It’s never too bad if you’re just motoring to Kilkenny or Belfast, but this last trip we pushed the limit pretty good and drove across to Clifden in Connemara. Had to stop and get coffee for that journey! LOL. Given the 8 hours difference, I’m thankful to have the direct Aer Lingus flights from Seattle to Dublin starting this spring. Instead of arriving at 5am, we’ll be getting in closer to midday. Less time to bunny! Oh boy! That would have been a tough drive–especially on the first day. I’ve come to think that the stars just have to align for us to conquer jet lag. Some trips are better than others. We try, try to sleep on the plane but that hardly ever works (you know, unless Orion is over Mercury or something like that, lol). I’ve also heard to never eat the airline food because its so full of sodium and preservatives (and yes it’s not mealtime for my hometime or Ireland ). It works against your digestions, inner clock, and hydration and it’s never just delicious. It’s a hard thing sometimes because the meal is like “the” event on a flight -that thing that breaks up the monotony, but actually I think skipping all food on flights has really helped us. 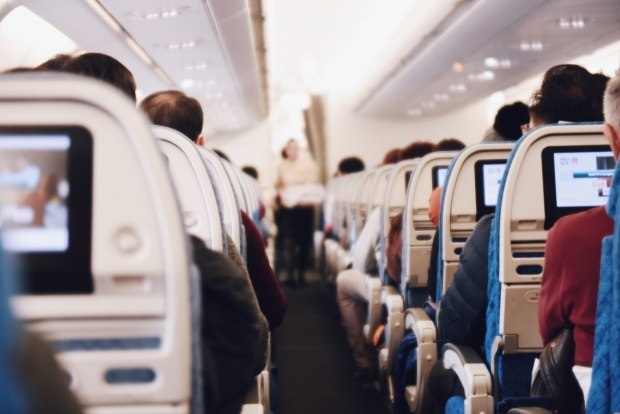 Wait for landing to grab a tea or coffee if your hitting the ground running, ride that adrenaline for awhile and nap when needed but don’t over nap – that can sometimes just perpetuate the jet lag for the whole trip. If your driving, it’s nice to pick somewhere scenic or interesting to pullover for a nap – because sometimes not everyone in the car is going to get shuteye. We often find a beach to pull over at, and once my husband/driver napped on a bench by Brownshill Dolmen while I explored. Yes!! Totally agree with you on the airline food. It’s always at least an hour after your flight leaves before you get it and and hour to get all cleared away. That’s two hours of potential sleep time (or least rest time) and you can get a better meal on the ground. Also love that your hubby napped at Dolmen while you explored…we’ve done the very same thing several times (regardless if it’s just after arriving or not! haha). Any advice for a pre-planned trip. We pick up a car at Dan Dooly, Dublin Airport, and our first accommodation is in Kilkenny. We are leaving Toronto, Ontario around 10:00 the previous night, with a lay-over in England for 3 hours. It is going to be a very, very, long first day. Thanks for all of the suggestions. We had a red eye and couldn’t check in to Hotel inDublin until 2:00. We tried to keep walking around, but ended up sitting on a park bench where my husband napped a little leaning against me. I couldn’t do that! When we finally checked in we took about an hour nap and went back out and explored and we were fine!! Can’t wait to go back to Ireland again!